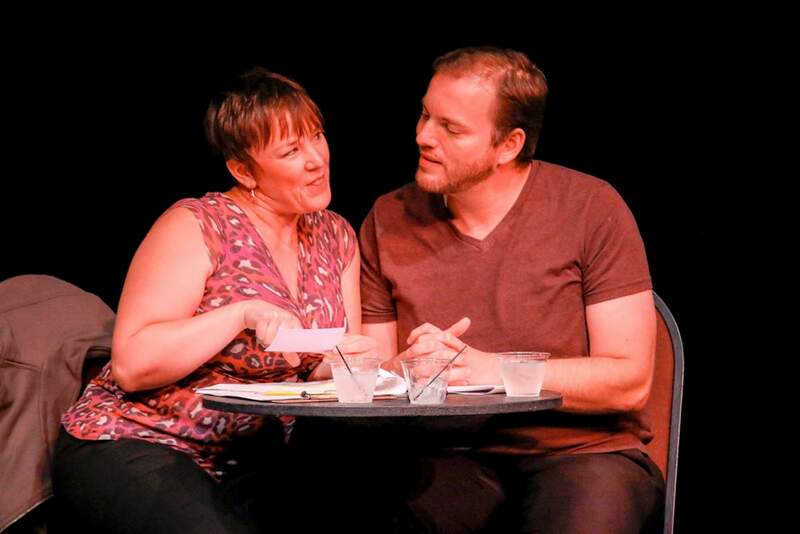 Mandy Gardner and Ben Mattson perform at the 10-Minute Play Festival staged readings at the Durango Arts Center in June. The DAC will be presenting the 10-Minute Play Festival this weekend. This weekend, Durango Arts Center will mount its seventh annual festival dedicated to an increasingly popular, concentrated dramatic form – the 10-minute play. Dubbed the Haiku of the American stage, 10-minute plays have been around only a short while. The odd form started loosely in the early ’70s at fringe festivals. Then in 1977, the Actors Theatre of Louisville, Kentucky, launched the Humana Festival of New American Plays with a special section devoted to 10-minute works. The new genre had limited goals at first. But in 1977, Humana set the template for subsequent festivals all over the country, including Durango Arts Center’s program. First, there’s a call for scripts, then tiered readings by panels of volunteers followed by a narrowing selection process with staff members, staged readings and finally, fully staged performances. The idea caught on at Louisville’s Actors Theatre, where the 10-minute play festival has become a staple of its general season, now celebrating its 40th year overall. DAC is in its seventh year celebrating the 10-minute form. Last June, five 10-minute plays got staged readings after having been chosen out of a field of 121. Submissions came from emerging playwrights from across North America plus England and New Zealand. DAC Artistic Director and Theatre Manager Theresa Carson has added a play by a local writer, Patty Templeton’s “War Report of Professor Adventure.” Templeton writes for DGO magazine. So, you’ll see six 10-minute plays for one ticket. The evening lasts a bit over an hour with short transitions between plays for set adjustments. If you’ve never been before, a 10-minute evening is an entertaining, fast-paced night of live theater. Tickets: $10 DAC members, $12 non-members. Available at http://bit.ly/20jA0Or or 259-2606, ext. 13.